If you’re a young designer or a seasoned professional, it’s important to continue learning and expanding your skill set. Our industry is ever-changing, making it more difficult to stay on top of business, production, and marketing trends. We’ve compiled a list of upcoming workshops and resources available in Toronto. BrainStation offers courses and workshops related to programming, design, and business courses, taught by industry practitioners. The Toronto-born education station understands that the digital marketplace moves at a rapid pace, and aims to help workers stay up to speed. BrainStation offers collaborative, hands-on training for working professionals, freelancers, and entrepreneurs. Courses include Digital Marketing, iOS Development, Data Analytics and more. 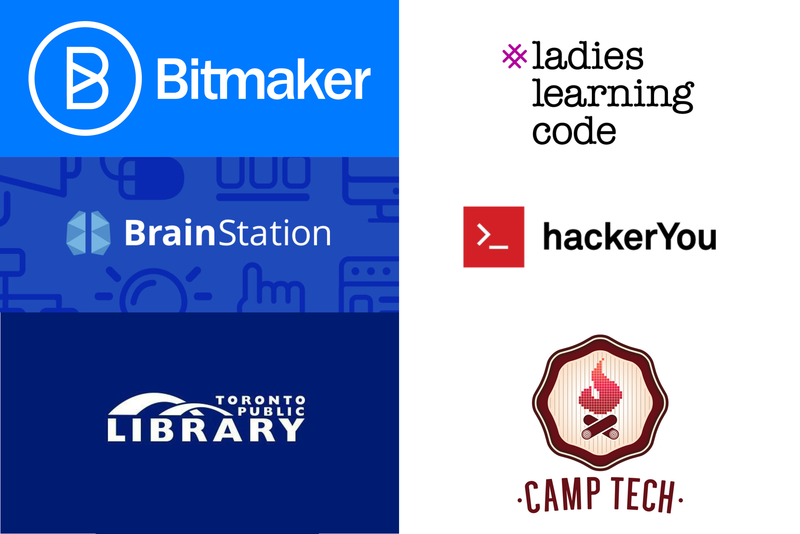 Ladies Learning Code started as workshops for Toronto women who wanted to learn how to code in Toronto, and has expanded to open chapters across Canada. Female designers and entrepreneurs in the city may be interested in LLC’s workshops in HTML and CSS, WordPress, and Python, to get their online website up and running. Camp Tech’s workshops are perfect for beginners! You can learn the “Social Media Basics”, or how to execute “Digital Marketing on a Budget” in just one session. Camp Tech creates a welcoming environment for newbies, and offers a challenge for advanced professionals. Toronto Public Library recently launched the Digital Innovation Hub at Toronto Reference Library and the Fort York Branch. The Hub offers classes in 3D design and printing, Photoshop, and website design. The best party? Resources at the Hub are available for free with a Toronto Public Library card! Bitmaker offers both full-time and part-time classes for those looking to launch careers in tech. Bitmaker stays on top of current trends, updating courses to suit the changing nature of the digital world. Bitmaker is committed to growing its community of developers, designers and entrepreneurs, giving students the opportunity to interact with industry leaders. Classes focus on design, digital marketing, and development. HackerYou provides a unique learning experience to students through small class sizes and a project-based learning style. The school is housed in a custom designed learning centre to allow for optimal learning potential. Courses include Web Development, SEO, UX Design, and more.